A few weeks ago, I was at dinner with a friend who had just started a new job at a large, global PR firm. Does anyone else see the problem with this (and why I was at a loss for words at this point)? Of course, I pushed back on her about it. But in her big, fancy global role, she’s no longer doing PR. Digital and media relations not only sit in different departments, they’re on different floors. She says she’s no longer doing PR…IN A PR FIRM. Likewise, it’s the time of year that organizations look at their PR budgets and start kicking the tires for firms. In the past month, we’ve had close to 20 new business meetings where the prospect has said, “We need a PR firm” and, when pushed, we discover what they really want is a publicist. We spend a ton of time educating them on what we do. In fact, I had a great meeting with a prospect. We talked about their industry—which fits our niche perfectly. We talked about what she was looking for in a PR firm—which fit our process perfectly. 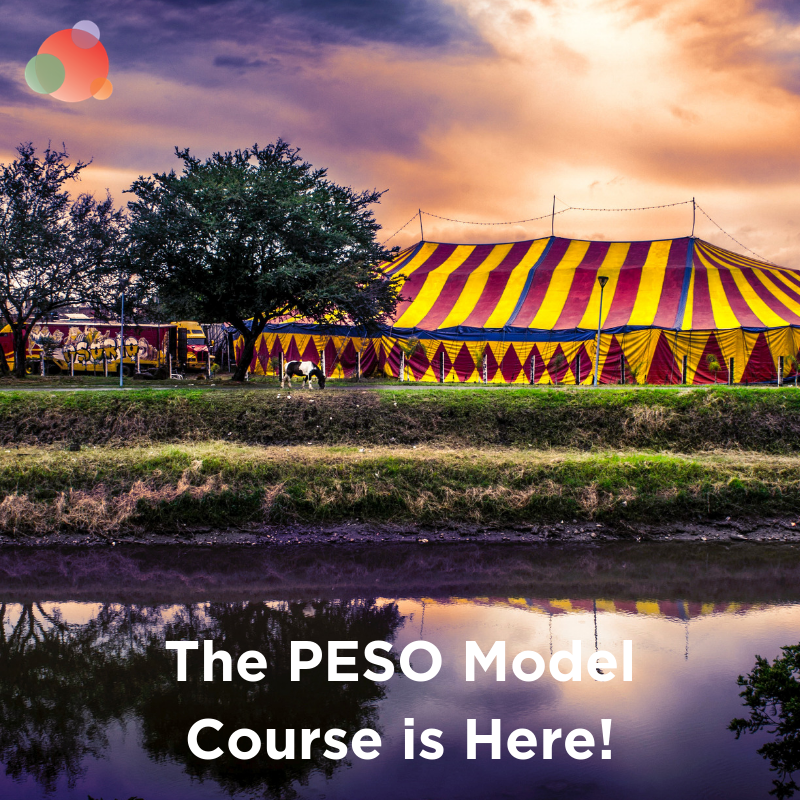 And we talked about our PESO model and how we integrate the different media types. She told me we were the firm for her and, before we left the restaurant, she asked me if I’d help her write the RFP (which is always a great position to be in because you can write it to your strengths). So I did. And I spent some considerable time on it. We went back and forth a bit and settled on a nice package. When I received the RFP, as part of the search, it wasn’t what we created. It was only for media relations, awards, and speaking engagements. All that time invested and we had to walk away. Here is the problem: it’s 2018 and we’re still calling media relations PR. 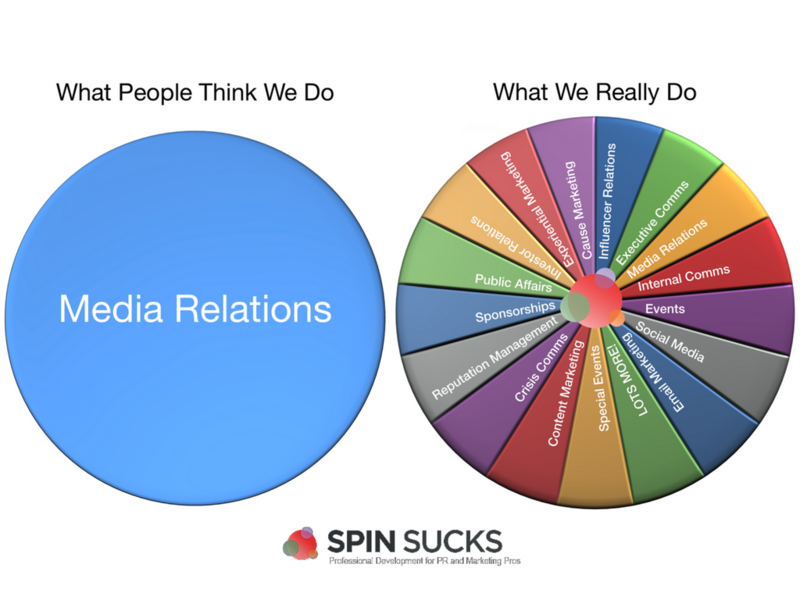 PR is not just media relations. 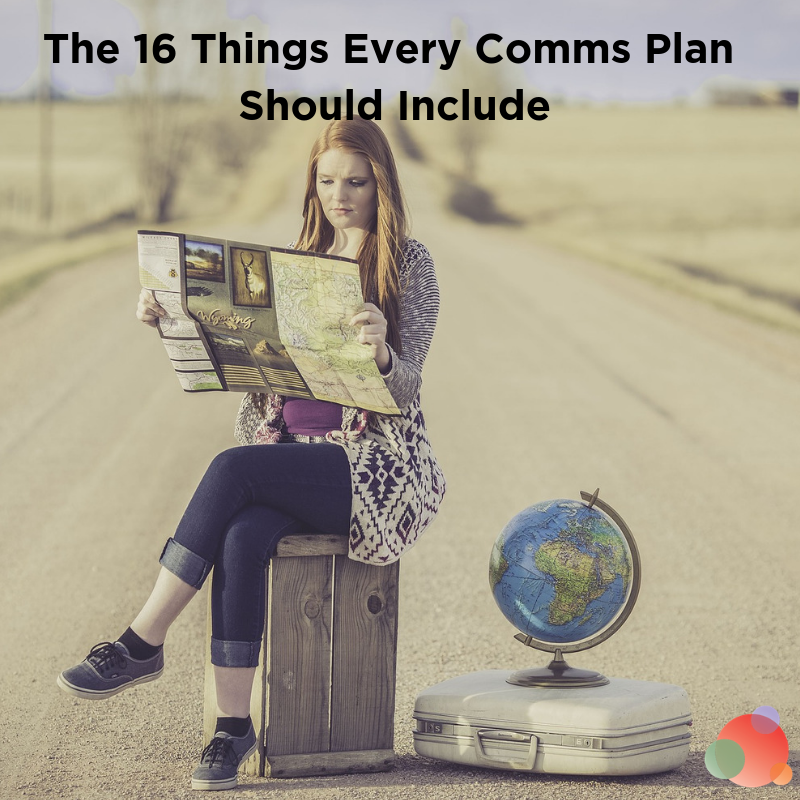 If your public relations (or communications, if that’s what you want to call it) program doesn’t include social media, content, email, advertising, influencer relations, media relations, and more, you’re not evolving like you should. I know I sound like a broken record because I talk about this quite often, but we clearly have more work to do. My friend doing social media for the big, global firm is still doing PR because guess what? Social media is communication. Communication and relationship-building with customers, prospects, ambassadors, and even detractors. And communication and relationship-building belongs to public relations. It’s one and the same. Developing content to attract prospects is communication. Writing emails to nurture prospects is communication. Building community with social media is communication. And working with third-party influencers is communication. That’s far more than just media relations—which is just one tactic in our vast toolbox. Until we, as an industry, begin to stand together to show executives that PR does not just equate a story in The New York Times or The Guardian, we will never have the respect we deserve. We are an investment. We are not an expense. If we integrate the PESO model correctly and we begin to equate PR to more than media relations, we will be seen as a business necessity. 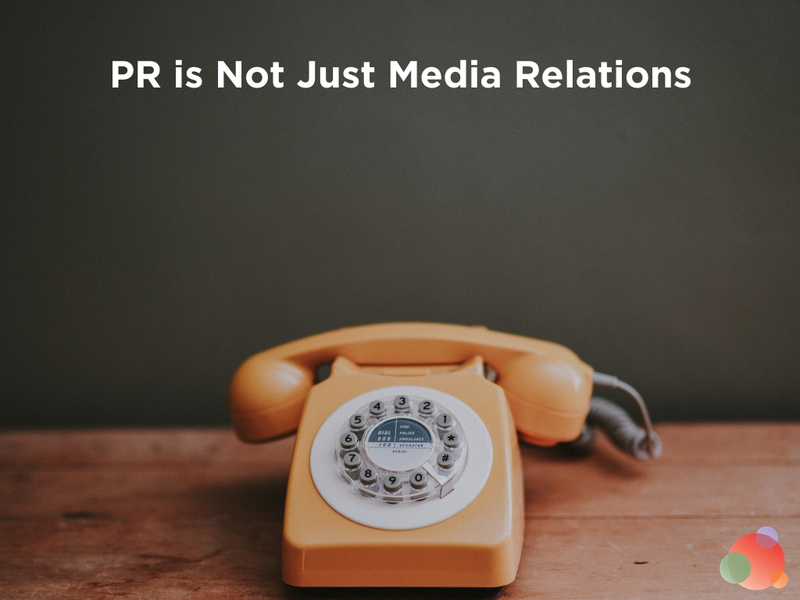 We certainly can’t expect business leaders to look at what we do as more if we, ourselves, equate PR to just media relations. 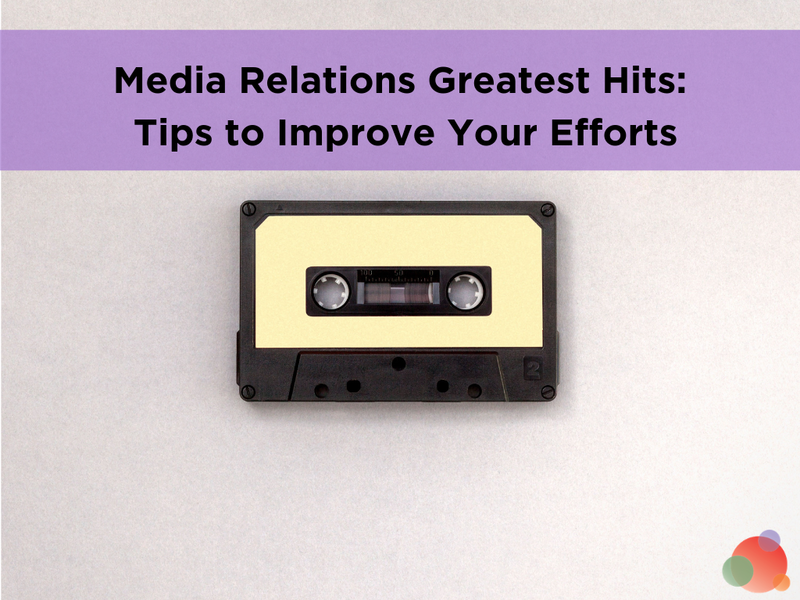 Until then, PR professionals will be tasked with media relations, awards, and speaking engagements…not with the things that, coupled with those awareness building tactics, move a business forward. We are on the cusp of another recession. Economists are predicting it could start as early as next year, but that we’ll be well inside one by 2020. This means PR/communications/whatever the heck you want to call it will be the first to go because we haven’t figured out how to measure our efforts to real business goals. Having lived through the Great Recession and losing more than half of our clients, I vowed to never let that happen again. We started to measure our work against our clients business goals and now they now what percentage of revenue we drive for them. To let us go during a down economy would equate a 15-20 percent revenue loss. We were not in this position 10 years ago. Things had to change. If you want to weather this next storm, you have to do more than media relations. Expand your PR efforts to include all four media types in the PESO model. And then stand up for the industry. Stand up for integration. Stand up for measurement. And change the way people think about our profession.